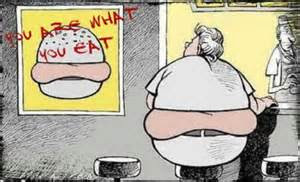 There are many times when I hear people say, ''You are what you eat”. But according to nutritionist Eleanor Ross, the truth is that what we eat affects our moods as much as our body shape. There’s a reason why we might feel a little glum after polishing off a bar of chocolate – and it’s not just the guilt of extra calories. Too much sugar depresses our moods so that after the initial burst we feel flat and deflated. Luckily, there are ways to push through the rest of the grey winter using the power of food alone. The key is eating foods that are proved to be packed full of nutrients that will boost endorphins, and could leave you with as much bounce as going to a high-intensity cardio session. Here are five foods that Ross recommends you can eat to keep buoyant throughout the day. It’s not just the weather making people in South East Asia happy; it’s the high levels of chilli they are eating.As the body reacts to the burning spice in your nerves, it releases opioids, or natural endorphins, that give you the feel good factor as you break down the spice. 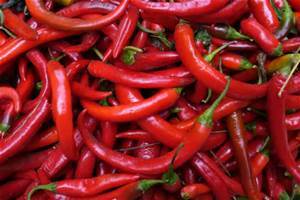 Best of all, chilli also kills pathogens, so up your curry intake to become happier and cold-free this winter. For a quick fix add some chilli oil to a salad or squeeze some hot sauce into a stew. Alternatively, get down to the local curry house and order a hot one! Now we know why all us food bloggers have such wide smiles: avocados contain choline, which in turn boosts serotonin levels. 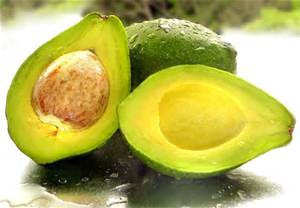 They are also packed full of vitamin E, so they’ll give your skin a subtle makeover too. 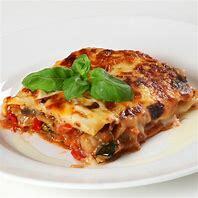 It’s a super-happy food. Mash a little with a squeeze of lemon, black pepper and chilli, dunk in some tortilla chips, and you’ve got a double boost of endorphins in one meal. There’s a reason most children and adults spend their waking hours craving chocolate. Eat as pure and as dark a version as you can, as it’s the cacao that contains theobromine and acts as a healthy stimulant. 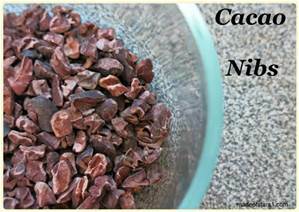 Cacao also releases energy far slower than simply gulping down a chocolate bar. Rather than heading straight for dark chocolate, which has sugar in it, go raw and scatter cacao nibs over your porridge for a healthy antioxidant-rich endorphin boost. 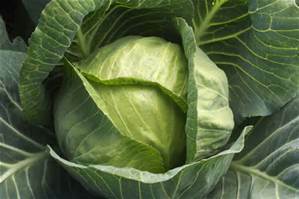 I love cabbage and every weekend we have it with our Sunday roast. Kale, spinach, greens and cabbage all have one thing in common – their endorphin-boosting properties. They’re packed full of vitamin B6, which can help fight the stress hormone cortisol, which is produced when anxiety kicks in. If you’re not a fan of on-the-side steamed greens, try blending a handful of kale and spinach into a food processor with orange juice, ginger and strawberries for your healthy endorphin boost. 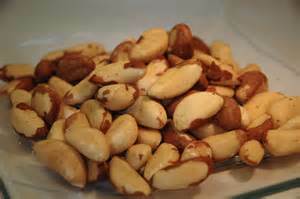 High in selenium, which in turn boosts levels of serotonin (another feel-good endorphin), Brazil nuts are a source of happiness. Try not to eat too many as, like avocados, they’re high in fat – just two or three nuts will give you the boost you need.Try blending brazil nuts with a touch of oil, salt and sugar to make a brazil nut butter, and spread on toast for the ultimate feel-good breakfast.